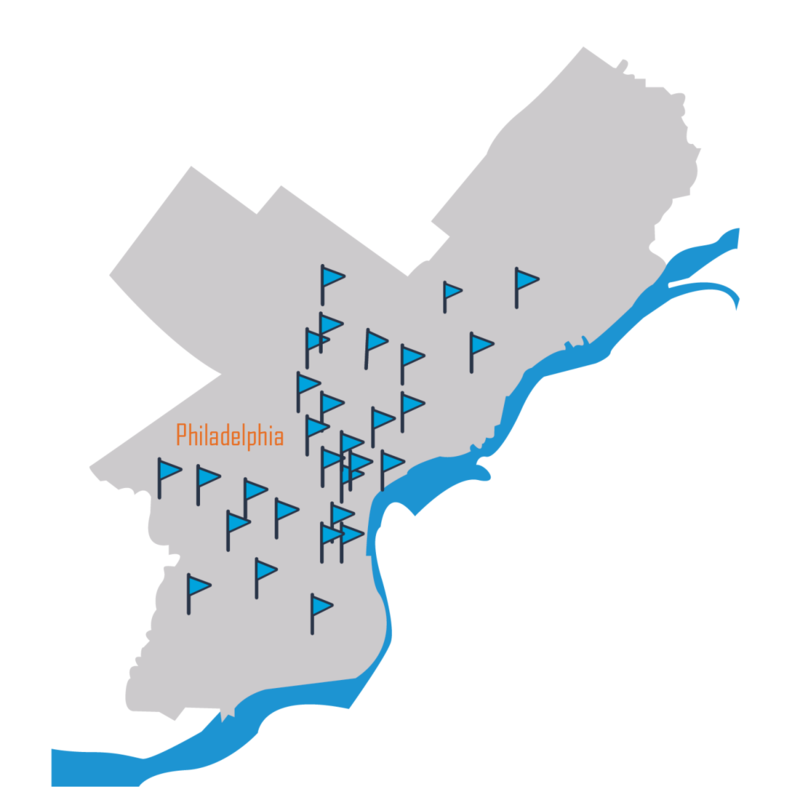 With a focus on hypertension and high cholesterol, this program supports seven Philadelphia Federally Qualified Health Centers (FQHCs) in implementing evidence-based best practices. The health centers are joined in a learning collaborative by three major health systems to promote information sharing. Over 100,000 adult patients receive care from health centers participating in this program, which is supported by the Philadelphia Department of Public Health with funding from the Centers for Disease Control and Prevention. Participating health centers are encouraged to improve patient care in a variety of ways, including engaging teams (including behavioral health consultants, pharmacists and medical assistants) in hypertension management, implementing data systems, monitoring quality measures, and addressing patients’ social needs such as food insecurity and social isolation.